After revolutionizing the car audio world with the bit One digital processor, thanks to continuous research in the digital domain, Audison now introduces the bit One HD, capable of processing audio signals with 24-bit/96 kHz resolution. In the world’s most important recording and mastering studios, audio signal is digitally processed at a standard 24-bit/96 kHz resolution, to preserve every single nuance even after multiple processing (dynamic range compression, equalization, ambient sound effects etc.). Thanks to its “Istinto Innovativo”, Audison achieved the same audio quality as professional digital workstations for the car compartment. The bit One HD makes the most of Hi-Res files reproduced by an Audison bit Play HD, providing the ability to develop a Full DA HD chain. The audio signal is not subject to any down-sampling and is sent to Audison amplifiers equipped with AC/AD link in digital, preserving all the information of the Hi-Res audio file reproduced. 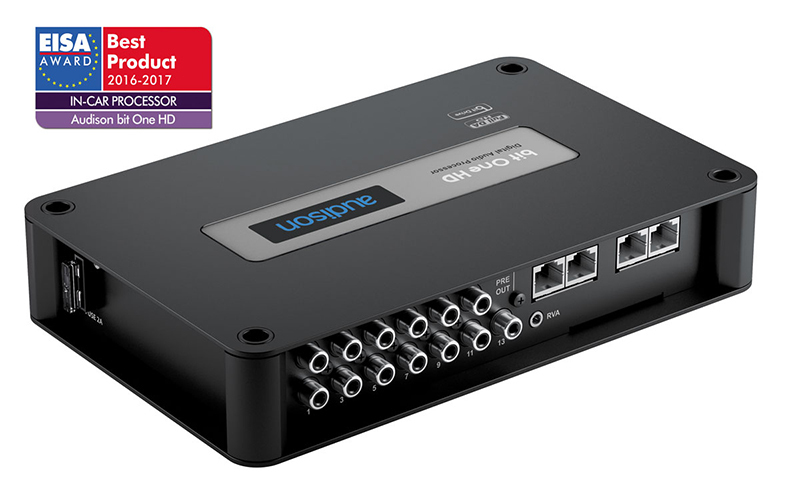 Audison bit One HD features 13 output channels processing the signal at 24 bit/96 kHz without any down sampling, to guarantee studio-master quality sound elaboration.